A course that offers many benefits to beginners and therapists alike, the professional online training course for Hopi Ear Candling is a popular one. An extremely relaxing treatment, it is an excellent method to use when with family and friends or for any practising therapist to train and add to their existing repertoire to gain more clients. The skills that students acquire during this Hopi ear candling diploma course can be used for the treatment of many conditions and also includes training in a soothing face and neck massage. This accredited online diploma course is open to amateurs as well as existing therapists and does not require any previous massage experience to gain entry. Whether you are learning the techniques for yourself or looking forward to start your own business and help others, this Hopi ear candling diploma course teaches you every aspect that you need to know about Hopi Ear Candling. All the details regarding the origins of Hopi ear candling as well how this ancient technique survived till the modern times is included in the course. In addition, students are equipped with the various methods they can employ to achieve success when following the entrepreneurial route. Even though Hopi Ear Candling can be performed by any person, students can get a thorough knowledge of its foundations as well as gain some experience in this powerful method of therapy by taking up this course. The success of ear candling as well as how it has evolved over time can be better understood by taking this course. The passage of time has given therapists and shamans a better understanding of Hopi ear candling that has led to the modification in the design of the candle. Such minor modifications have continued to this day of scientific awareness. 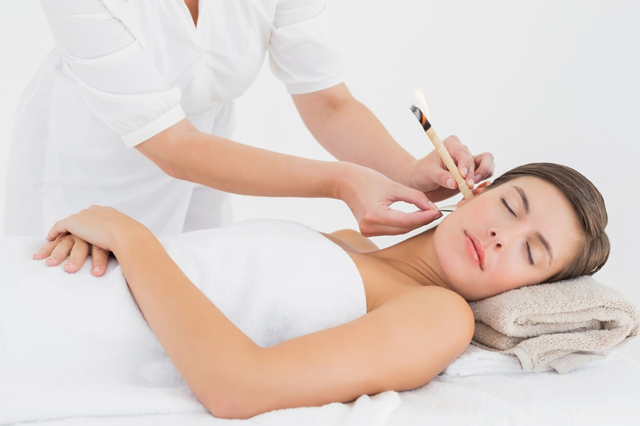 The experts in Hopi Ear Candling have been able to understand the ear candles better and fine tune them so that they have a better effect and give maximum benefit. Topics such as the working and benefits of ear candling will be covered. Students would get a better understanding of the functions of Hopi ear candling as well as grasp the scientific principles behind it. Students will be taught the various methods through which they can achieve the benefits of Hopi ear candling. In addition, students will also understand how Hopi ear candling cleanses the ear canal, reduces sinus headaches, improves hearing and also provides relief from various other ailments. When the course reaches its end, the students would have got a full understanding of Hopi ear candling and its functioning. The most crucial and practical portion of this course comes towards the end, wherein students will be provided with a detailed step-by-step guide on how to perform Hopi ear candling. They would be taught about the details of the session, the sequence of events and its timing and also all the necessary precautions to be taken. The Hopi ear candling diploma course aims at making the students confident enough to begin practising individually. The information provided by the course is more than sufficient to help students to start their own practice.